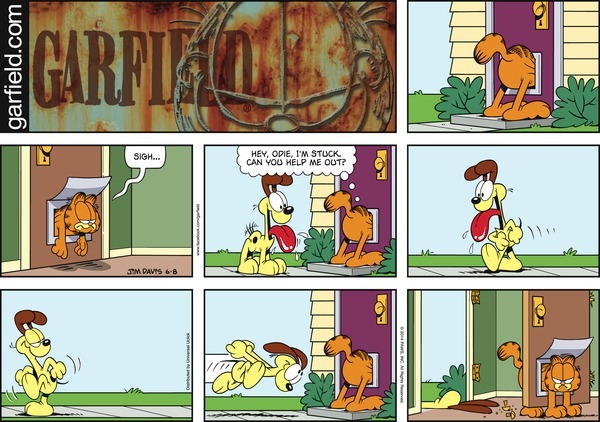 Garfield: Hey, Odie, I'm stuck. Can you help me out? Oddly enough, I got the idea from an anime-themed shirt, and somehow I redirected myself to this SRoMG idea.